The aspect ratio has a long and storied history. So what does that mean for the modern filmmaker? In this guide, we go over what to keep in mind. The Academy Ratio. 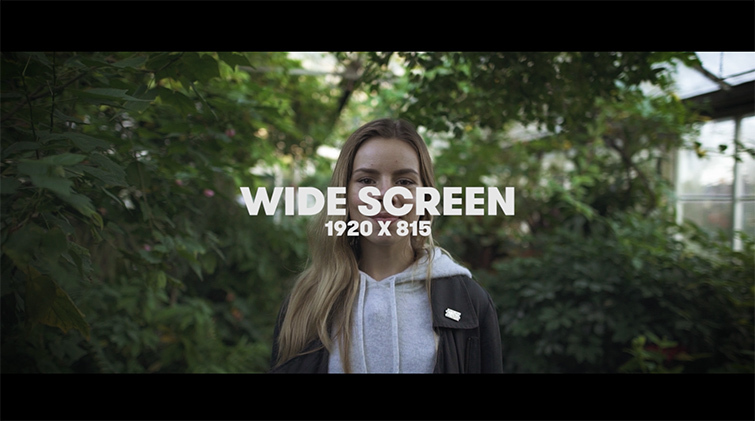 Anamorphic Widescreen. 16:9. 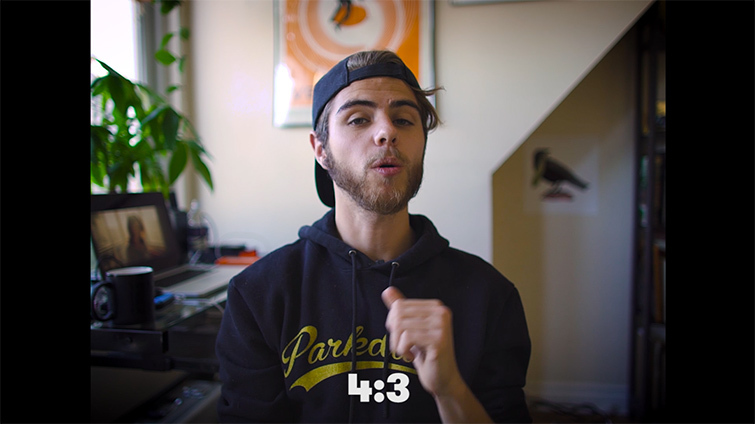 The list of aspect ratios available to the modern filmmaker is long, especially now that changing your ratio requires only a few simple clicks in your editing software. A filmmaker choosing an aspect ratio for their next project is the same as a painter choosing the size and shape of their canvas. The aspect ratio is more than just a medium for information — it is also a means of telling a story. An “aspect ratio” describes the screen’s width in relation to its height. For instance, today’s standard 16:9 describes a screen that for every 16 units of measurement (inches, feet, pixels) the image is wide, it will be 9 units high. So today’s 1920x1080p television sets, or the higher-end 4K sets (3840x2160p) would have a 16:9 aspect ratio, whereas a 1920x817p video would have a 2.35:1 aspect ratio (think back to math class). For decades, the standard aspect ratio was 1.37:1, or the Academy Ratio. 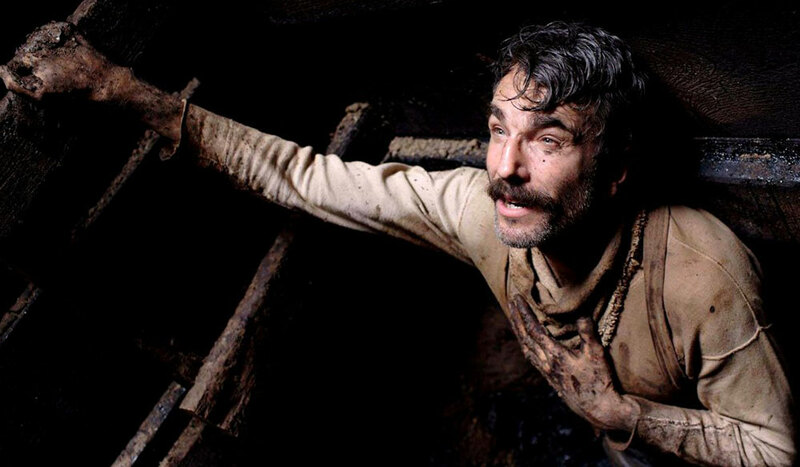 It wasn’t until big production houses had to compete with the commercialization of television sets that they began experimenting with new, exciting aspect ratios to give the audiences something they couldn’t get at home: wider, larger screens that immersed the audience deeper into the film. Eventually, theater aspect ratios settled between 2.35 and 1.85. Today’s standard 16:9 came about as a compromise between theater aspect ratios and television’s 4:3 format. 16:9 allowed for the comfortable viewing of both older television programs and blockbuster films without having to crop and “pan and scan” either formats to fit well on the screen. Certain aspect ratios have become so synonymous with cinema, television, home video, etc., that even the lay person, without a full understanding or knowledge of aspect ratios, can recognize the historical significance of each. The classic Academy Ratio can create an “old-timey” feel, whereas the super-wide Anamorphic Screen creates the sense of blockbusters and epic fantasy or adventure films. Yes, certain color-grading techniques can emphasize these moods, but it starts with the ratio. Filmmakers can use this to their advantage when they wish to immerse the audience in a certain period or make the mood more dramatic. One of the films to best use this idea of aspect ratio for historical setting is Wes Anderson’s The Grand Budapest Hotel. As the film travels through history, the aspect ratio changes to match common ratios at that time. Images via The Grand Budapest Hotel (Fox Searchlight Pictures). As for mood, looking at Danny McBride’s high-fantasy parody film Your Highness, we see he shot it in the wide 2.35:1 ratio — the same aspect ratio as Peter Jackson’s truly epic and awe-inspiring The Lord of the Rings adaptations. Had McBride shot Your Highness in 16:9, the film would’ve felt more commercial and less epic, but by matching the aesthetic of the 2.35 ratio, the film achieves this mood. 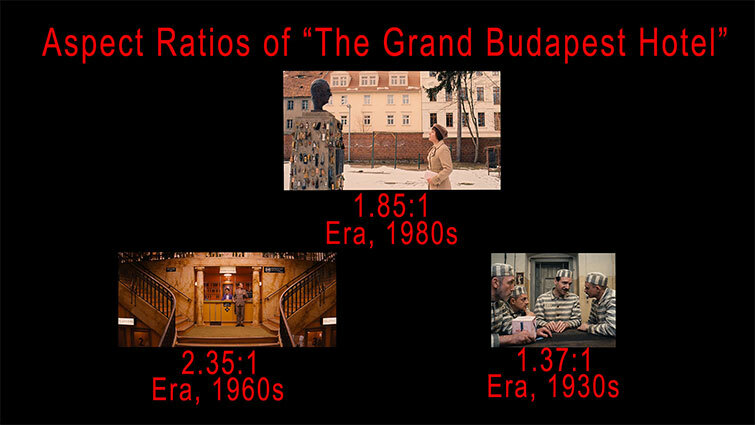 At the end of the day, regardless of the historical or cultural significance of various aspect ratios, the ratio will determine how the filmmaker composes each and every shot in their film. 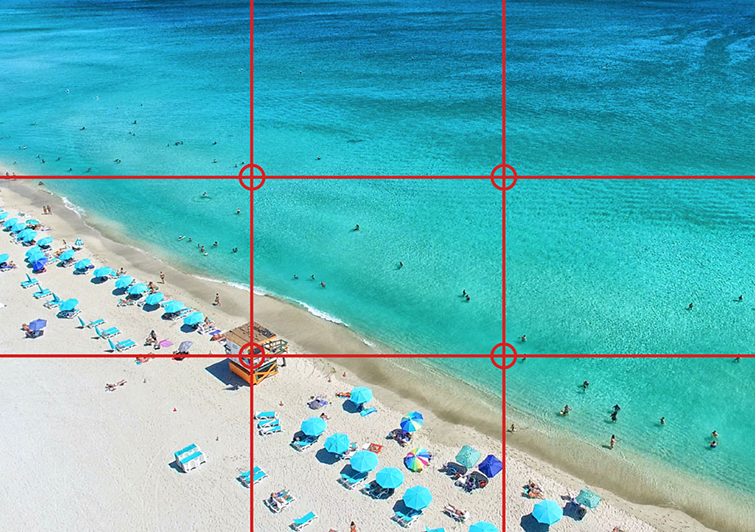 Expanding or minimizing the field of view will invariably affect one of the first rules of composition: The Rule of Thirds. The Rule of Thirds helps the filmmaker create visually compelling images that draw the audience’s attention into the whole image as opposed to just focusing on something in the center. The intersecting lines create reference points for where to place the subjects to create a dynamic, interesting composition. The more confined the ratio is, the tighter the compositions will be, creating a narrower sense of space. Often things can start to feel hyper-focused and compressed. This is not inherently a flaw; it’s just a result of the tighter ratio, which, again, Wes Anderson uses very well in The Grand Budapest Hotel. 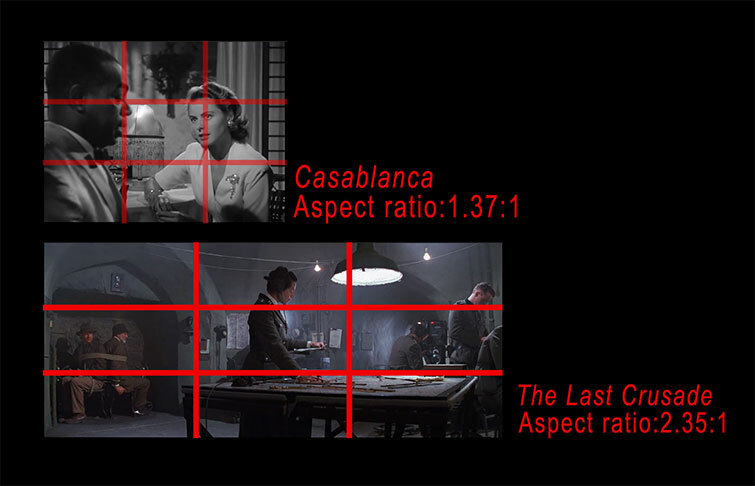 You can still achieve depth and dynamic composition, however, as we see in Casablanca. Despite the the tighter ratio, we’re still seeing the Rule of Thirds in action to create strong angles, and we never become overwhelmed by the wide open space of the airfield. The camera’s movement helps create a sense of depth, but ultimately, we are limited as to how many characters and subjects we can layer into a single frame. Image via Casablanca (Warner Bros.) and Indiana Jones and the Last Crusade (Lucasfilm Ltd.). We are limited in our ability to create a long expanse or a panoramic view. But as we expand our ratio, we can increase that sense of depth and scale. Take note of how Steven Spielberg utilizes the entire expanse of the screen to create a layered and dynamic composition in Indiana Jones and The Last Crusade. The wider aspect ratio allows Spielberg and his DP Douglas Slocombe to carefully and aesthetically layer in an abundance of subjects and information without overwhelming the audience or crowding any single frame. 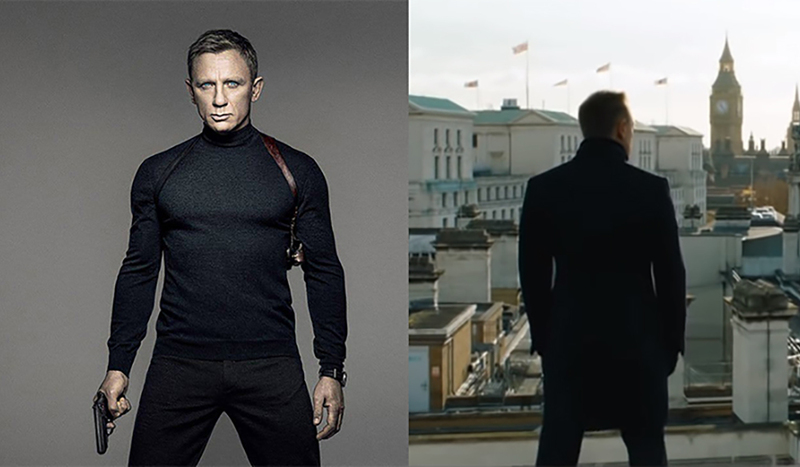 The filmmaker must keep in mind that choosing a wider aspect ratio doesn’t just allow for wider, deeper compositions; it also poses the challenge of revealing more of the filming location. This is one reason why wider ratios are popular with fantasy and adventure films. The filmmaker wants to immerse you in the detailed world that they’ve created. The wider you go, the less you can hide. Check out the classic showdown between Luke and Darth Vader from Star Wars: The Empire Strikes Back. 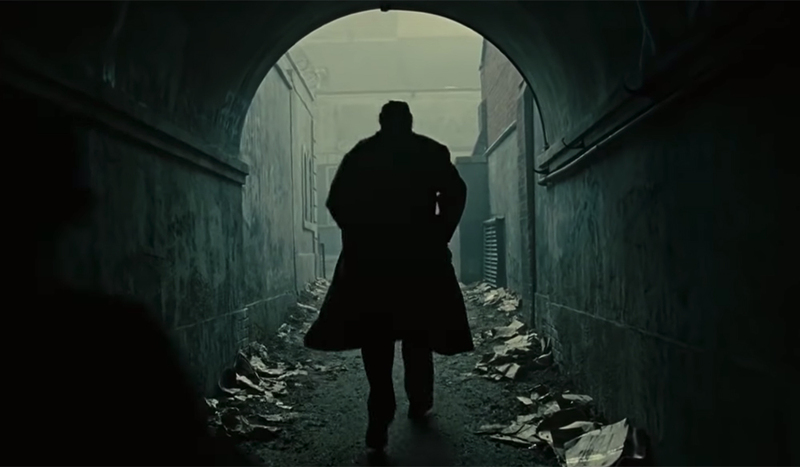 Not only does the 2.35:1 ratio allow for deeper and wider compositions, it also immerses the audience in the fictional world in nearly every shot. But if you don’t have locations or sets worth showing, or the ability to light much wider shots without revealing the tools of the trade, then you risk creating shots that are visually uninteresting (if you’re not a master of working with negative space). Choosing your aspect ratio is a key element in determining your film’s composition and mood. Can you compose and light wider shots? Do you want to focus the audience’s attention on certain details? Do you want to immerse them in the film’s lavish or fantastical environments? 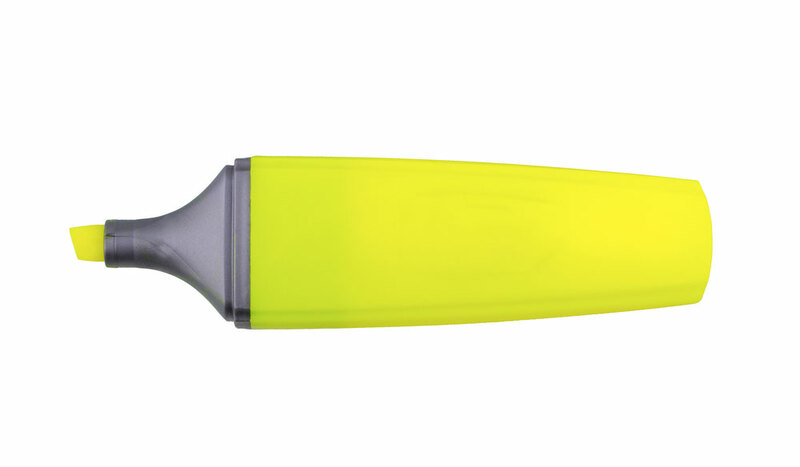 Or do you want to confine their field of view to avoid emptier, flatter settings? Choose your aspect ratio before shooting. Trying to change it in post, even from 16:9 to 2.35:1, can mess up the composition. Compose various shots in different ratios ahead of time before sticking to one during production. See what locations are available and how far you can stretch your budget to create or dress the sets. But above all, see which composition styles best help tell your story. 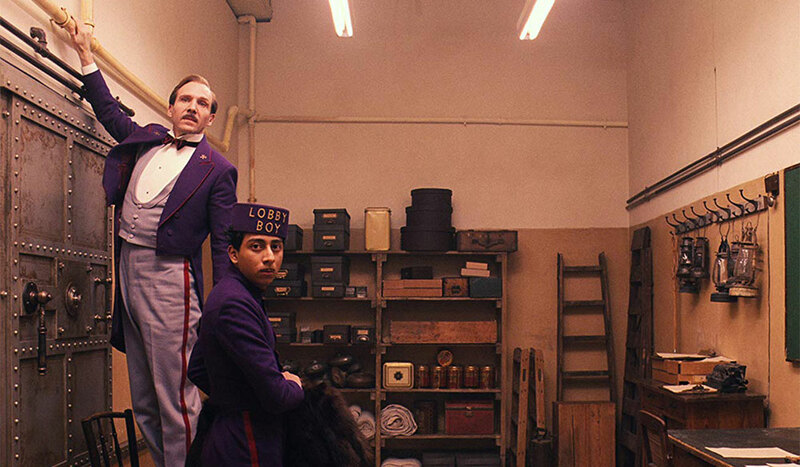 Cover image via The Grand Budapest Hotel (Fox Searchlight). Which Camera Movement Should You Use — And When And Why? Packed with 143 atmospheric effects, Vapor is an ideal way to infuse your footage with an elegant, cinematic look.